A screen shot of Aurora HDR 2019. In May Skylum Software set up the ‘Skylum AI’ artificial intelligence lab. Now we are seeing the first product results coming out of the new lab. Today Skylum has announced the latest version of its high dynamic range editing software, Aurora HDR 2019, which comes with a new AI-powered Quantum HDR Engine. The new HDR engine is the core element of this new update and provides AI-powered tone mapping technology that analyzes your images for optimized merging. The Quantum engine was fine-tuned by testing it against thousands of images in order to ensure natural-looking results. Skylum says the new software can be used to reduce highlight and channel clipping, loss of contrast, noise and ghosting artifacts and works with both single images and bracketed shots. Before and after processing in Aurora HDR 2019. Other new features include Smart Structure technology, which Skylum says can bring out detail without creating artifacts. There’s also a new LUT mapping tool with instant preview for color-grading your images. Aurora ‘HDR Looks’ replaces what was called ‘Presets’. And the company has also commissioned a number of professional photographers to develop their own Aurora HDR Looks. Aurora HDR 2019 is available for pre-order from today and costs $89 for a new purchase and $49 for an upgrade. When released on October 4th, prices will increase to $99 and $59 respectively. More information is available on the Skylum website. Aurora HDR 2019 has Skylum’s new AI-powered Quantum HDR Engine with new tone mapping technology to create the most realistic, immersive high dynamic range photographs possible. Pre-orders for the Aurora HDR 2019 start September 12th. Bellevue, WA – September 12, 2018 — Skylum Software is excited to open pre-orders for the fourth major version of its award-winning HDR program Aurora HDR — the most sophisticated version since being released in 2015. New users can purchase the new version for $89 and current users of Aurora HDR may upgrade for a limited time at a special price of $49 at skylum.com/aurorahdr. Skylum’s ultimate goal is to give photographers an easy-to-use yet powerful tool to create vivid, captivating, and incredibly dynamic images. 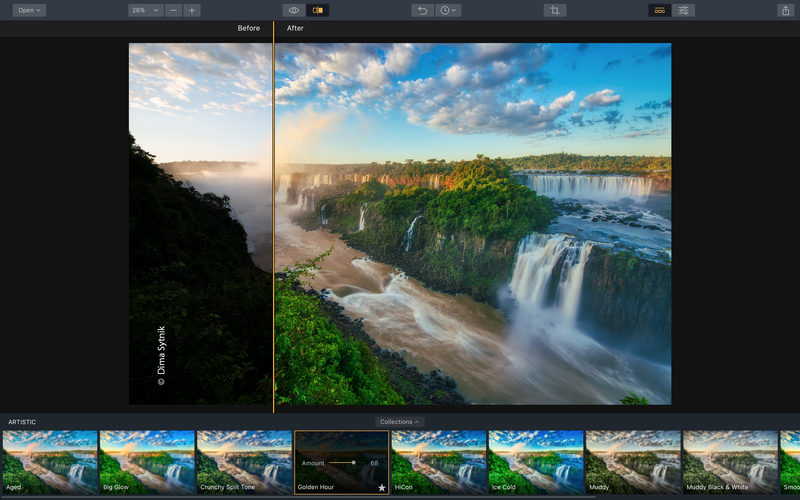 The company is to deliver on that goal with the all-new Aurora HDR — an impressive HDR photo editing tool that blends power and intelligent technology with intuition and a seamless workflow. At the core of this update is Skylum’s revolutionary Quantum HDR EngineTM, an AI-powered tone mapping technology that’s been three years in the making within Skylum’s AI lab. Now, when creating an HDR image using multiple bracketed shots, Quantum HDR Engine meticulously analyzes the photos and intelligently merges them. Not only does it minimize the major issues that other HDR merging tools have, but it also generates stunning results, producing images that are dynamic yet natural-looking. “We are incredibly excited to get Aurora HDR 2019 into the hands of photographers from around the world. The results are so accurate and natural that the final images appear as though you’re looking at the scene with your own two eyes. Simply put, it’s HDR finally done right.” — Dima Sytnyk, CTO and co-founder of Skylum. Aurora HDR 2019 is available for pre-order starting September 12th. Pre-orders include bonus downloadable content and costs $89 for a new purchase and $49 for an upgrade. When released on October 4st, the price will jump to $99 new and $59 for an upgrade.